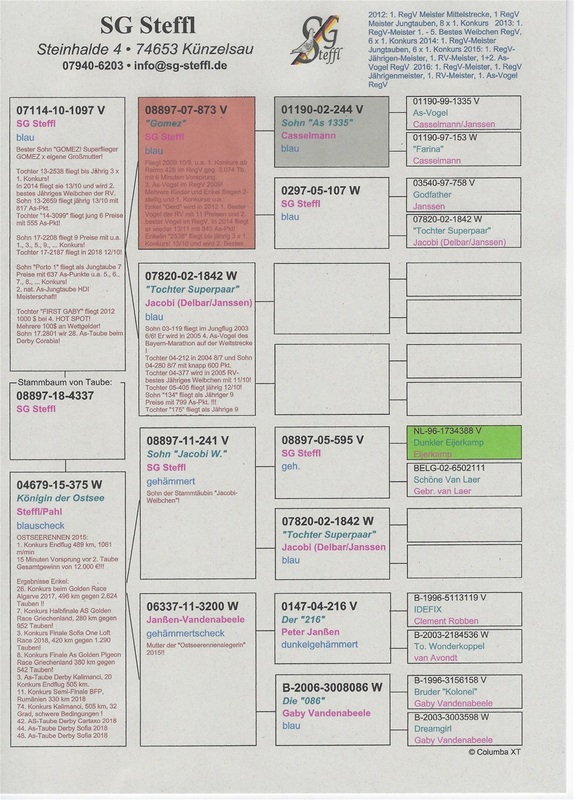 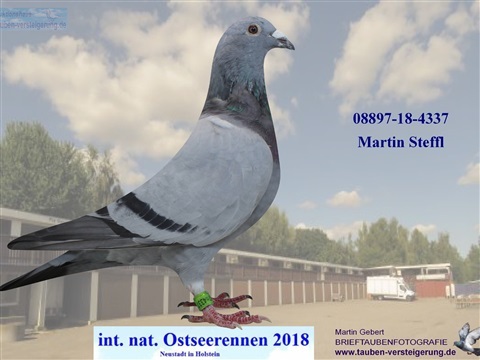 FATHER is a direct son of «GOMEZ» x «Daughter Superpair», and is a very good breeder and father of several 1st prize winners. 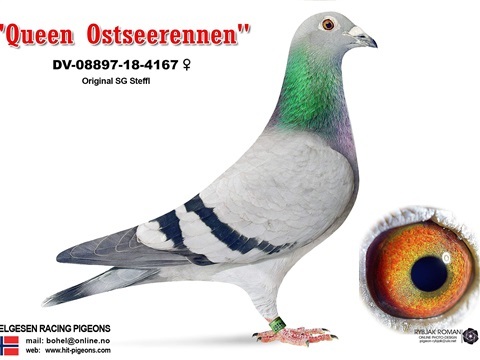 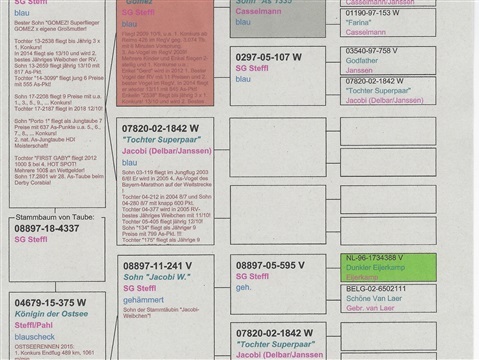 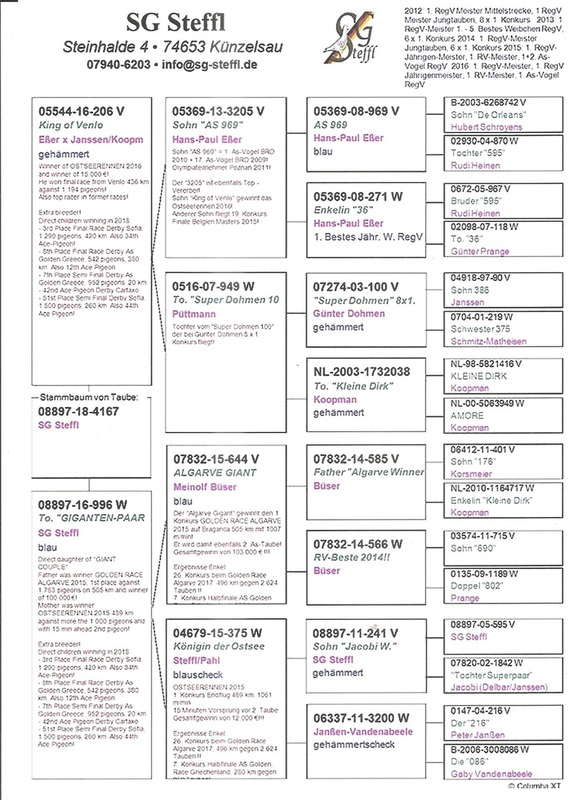 MOTHER «Königin der Ostsee» is the Ostseerennen winner 2015 (15min ahead 2nd) and is also the hen in Steffl's famous "Giant Couple"
FATHER "King of Venlo" is winner of Ostseerennen Final 2016 and 15.000 EUR, and is an Eßer x Janssen / Koopman (Kleine Dirk strain) combination. 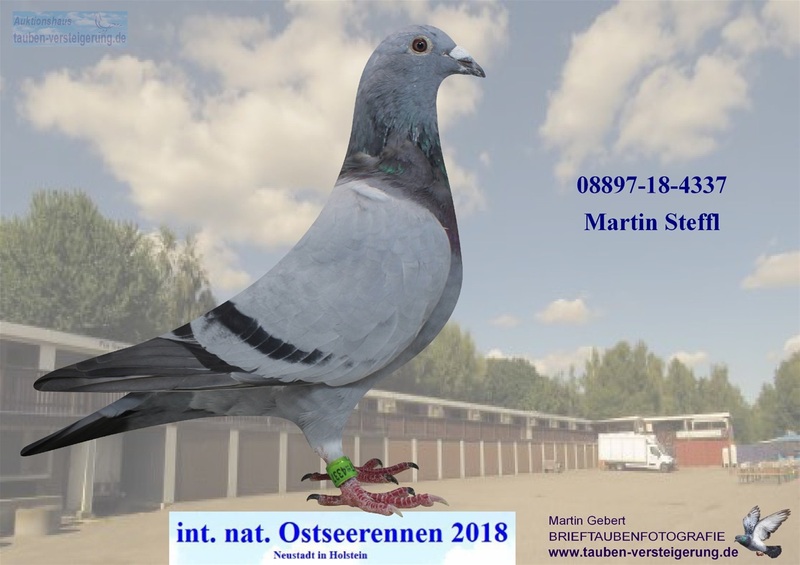 MOTHER «996» is a direct daughter Algarve Golden Race winner 2015 x Ostseerennen winner 2015 (Steffl's famous "Giant Couple"). 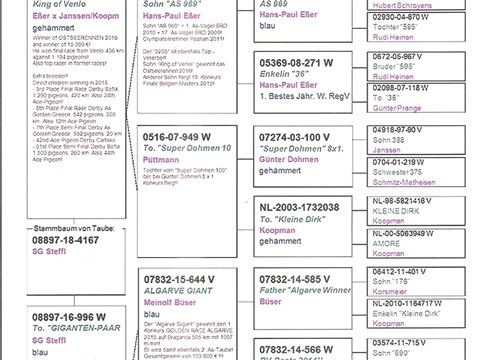 "Gomez der Ostsee" is new at loft! 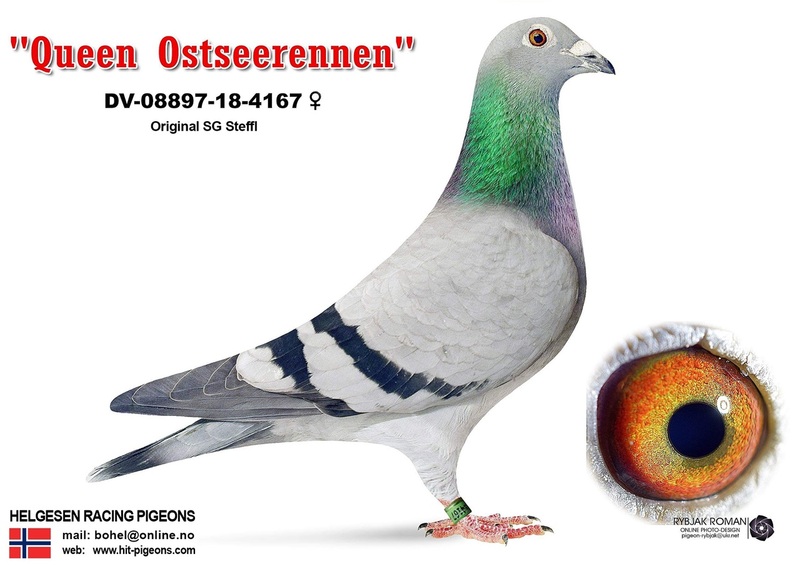 "Queen Ostseerennen" is new at loft!